This article examines several use cases for solar panels, with applications in extreme locations. The information below showcases the versatility of solar-powered systems and their benefits in relation to workplace safety and energy efficiency. The Port of Rotterdam, which is considered to be the largest sea port in Europe, utilizes large-scale solar panels to support vessel mooring operations. Supported by batteries protected by heavy-duty enclosures, the units are installed on platforms at sea for maximum sunlight exposure. The explosion proof system includes navigation lights for marking, remote monitoring capabilities and data-logging features. Businesses that rely on heliports and inaccessible rigs are exploring alternative energy sources to improve power utilization in remote sites. An example of this comes from offshore oil processing operations conducted by Equinor ASA in Norway. 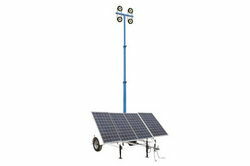 The company leverages explosion proof solar-powered units to power LED navigation lights and marine lighting systems at offshore locations. To promote energy efficiency, the system includes photocells, which monitors ambient light levels in the surrounding area. Offshore wind farms come with a myriad of challenges for operators and businesses. Mitsubishi Vestas Offshore Wind incorporates solar-powered navigation lights, obstruction lights and LED flood lights to mark the structures at sea. Such solutions are cost effective, as the units require minimal maintenance and upkeep. Furthermore, the solar lighting systems streamline compliance with aviation lighting standards. From a safety perspective, the luminaries ensure pilots can see the turbines at night or during foggy conditions. A status light is also available, advising nearby operators about moving rotor blades.